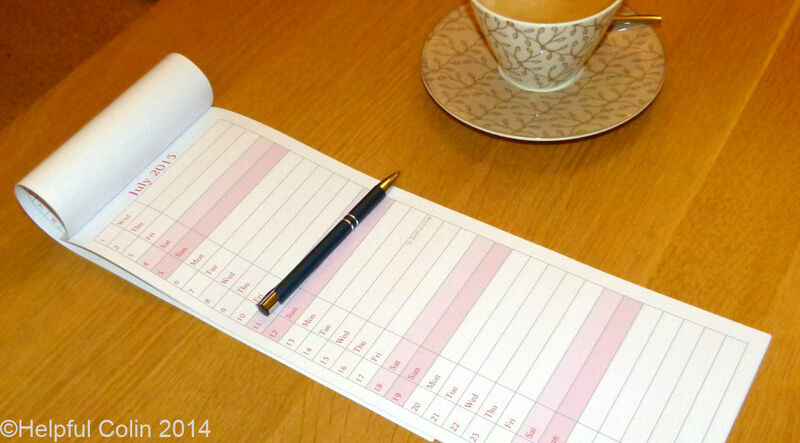 My wife and mother-in-law both prefer a long thin calendar like this in A3 format so that they can easily make notes on it (see featured image). My wife’s hangs around the coffee table all the time. She doesn’t want to bother with an electronic one, although she has that option. Her mother has a similar one lying around in the corner of her kitchen worktop with a pen at the side. It’s very easy to scribble daily items down. There’s no shortage of room on it. Any extra notes can always be written on the back of the pages. As the months tick by the pages can be folded over at the top so that the next month becomes visible but the past is not thrown away. Do you want one? Then read on and I will explain how to download one for any year in your lifetime and print it out. It was a nice summer and I enjoyed a family day out travelling from Hythe to New Romney on the Romney, Hythe & Dymchurch Railway (RH&DR) in Kent on 5th July 2014. We travelled on an overcast afternoon and the breeze was slightly chilly when it whistled through the carriages. We travelled West from Hythe as far as New Romney, where we alighted to look at the model railway and take refreshment. The original plan was to go all the way to Dungeness, part of Romney Marsh1, where the line ends. It doesn’t end in the usual sense with buffers at the end of the rails. The outbound line loops around the countryside until it becomes the line running back to Hythe. Trains don’t have to manoeuvre to make the return journey. They just keep going forward. There is a Railway Station at Dungeness too besides a lighthouse, village, very large shingle beach and a Nuclear Power Station. Unfortunately we travelled too late in the day. We realised that if we continued our journey, from New Romney to Dungeness and back, we wouldn’t have time to get back to Hythe. Perhaps I’ll get to see Dungeness next time. Learn more about Romney Marsh2. It was a wet day this year at the GCR Winter Steam Gala 2013 (on 27th Jan). I didn’t take so many photos and the videos were short. For the most part the videos are of trains leaving stations. The event ran all day but I only arrived in the afternoon. 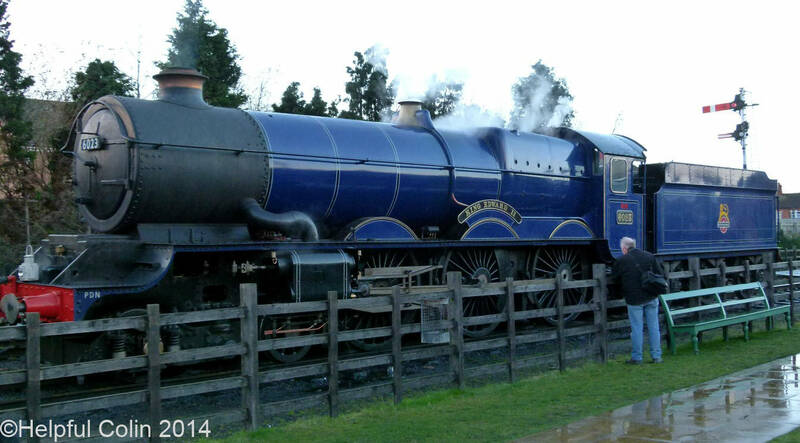 Here is the Featured Image of No.6023 ‘King Edward II’ for those who can’t see it. Note: Interactive Google Maps are used in this post. Help using them can be found here.